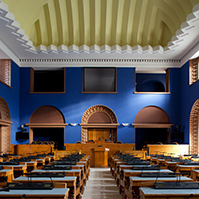 On the motion of the Constitutional Committee as leading committee the Resolution of the Riigikogu On the Formation of the State Budget Control Committee (120 OE), initiated by the Estonian Centre Party Faction, was passed with 73 votes in favour. The composition of the select committee, formed for controlling the state budget, includes the following members of the Riigikogu Aivar Õun (alternate member Tõnis Palts ), Andres Lipstok (alternate member Raivo Järvi ), Eiki Nestor (alternate member Ivari Padar ), Harri Õunapuu (alternate member Liina Tõnisson ), Helir-Valdor Seeder (alternate member Andres Herkel ), Toomas Varek (alternate member Robert Lepikson ) and Vello Tafenau (alternate member Jaanus Männik ). The objective of the Committee is to ensure, in cooperation with the State Audit Office, control over the Government of the Republic in terms of the implementation of the state budget and economical, efficient, effective and lawful use of the state assets and budget funds. Nobody voted against the Resolution and nobody abstained. 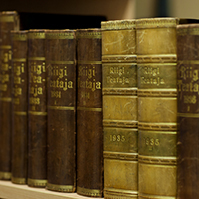 On the motion of the Constitutional Committee as leading committee, the Resolution of the Riigikogu On Amendments to the Resolution of the Riigikogu on the Formation of the Security Authorities Surveillance Committee of the Riigikogu (240 OE), presented by the Union for the Republic ? Res Publica Faction, was passed with 69 votes in favour. 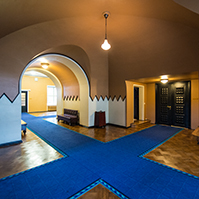 According to the Resolution, instead of the alternate member of the Committee Taavi Veskimägi, Member of the Riigikogu Jaanus Rahumägi was appointed. Nobody voted against the Resolution and nobody abstained. 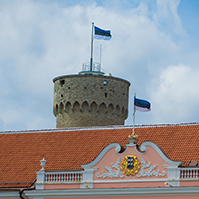 On the motion of the Finance Committee as leading committee the Resolution of the Riigikogu On the Appointment of Members of the Supervisory Board of Eesti Pank (248 OE), submitted by the Chairman of the Supervisory Board of Eesti Pank, was passed by secret ballot with 61 votes in favour. 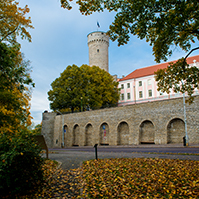 In connection with the termination of authority of the present composition, Raul Eamets, Andres Lipstok, Enn Listra, Mart Opmann, Tõnis Palts, Jüri Sepp and Liina Tõnisson were appointed as new members of the Supervisory Board of Eesti Pank. 3 members of the Riigikogu voted against the Resolution, nobody abstained. 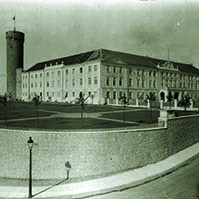 On the motion of the Constitutional Committee as leading committee, the Resolution of the Riigikogu On the Appointment of Julia Laffranque to the Office of Justice of the Supreme Court (247 OE), submitted by Chief Justice of the Supreme Court, was passed by secret ballot with 68 votes in favour. Nobody voted against the Resolution and nobody abstained.